Early returns show activist leading Smith by 62 to 37 percent, with many votes left to be counted. 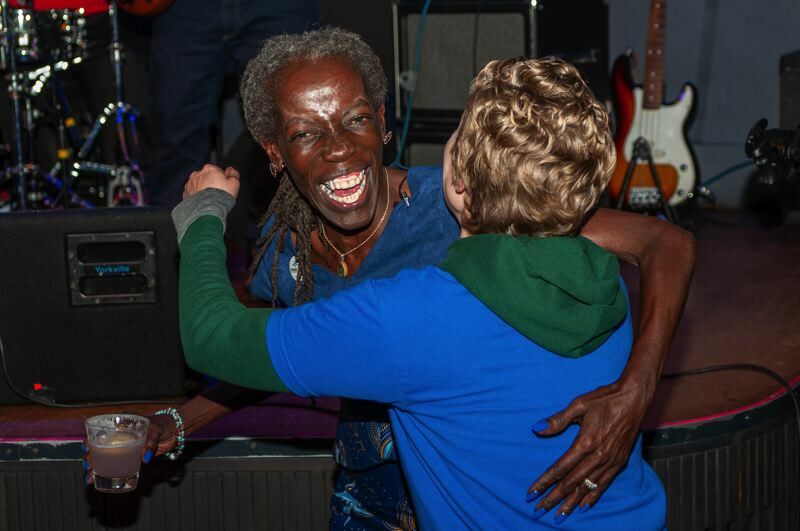 Activist Jo Ann Hardesty defeated Multnomah County Commissioner Loretta Smith to become the first African-American woman elected to the Portland City Council. The first returns showed Hardesty leading Smith by a margin of 62 percent to 37 percent, with the rest going to write-in candidates. Her lead never diminished as the evening went on. "I want to thank the voters of Portland for trusting that I had the best interest of voters at heart," she said, while promising to empower regular voices at City Hall. "I want to thank the voters for knowing that this is the beginning." Smith conceded about a half hour after the polls closed, saying she had planned on winning, "But life sometimes puts bumps in the way and sends you off in a different direction." 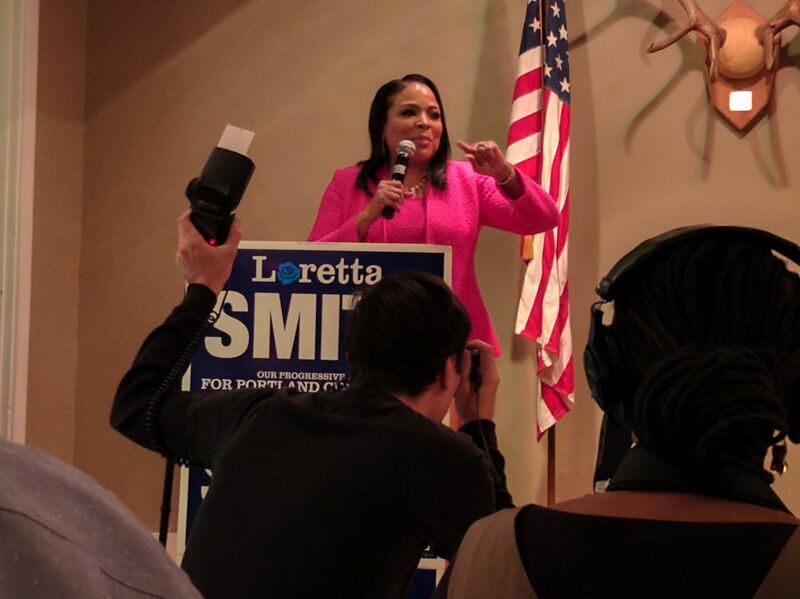 Smith did not mention Hardesty by name, but said she was proud that two African-American woman had made it in the general election in a city that is only 5.8 percent African-American, She said she plans to continue in some form of public service. 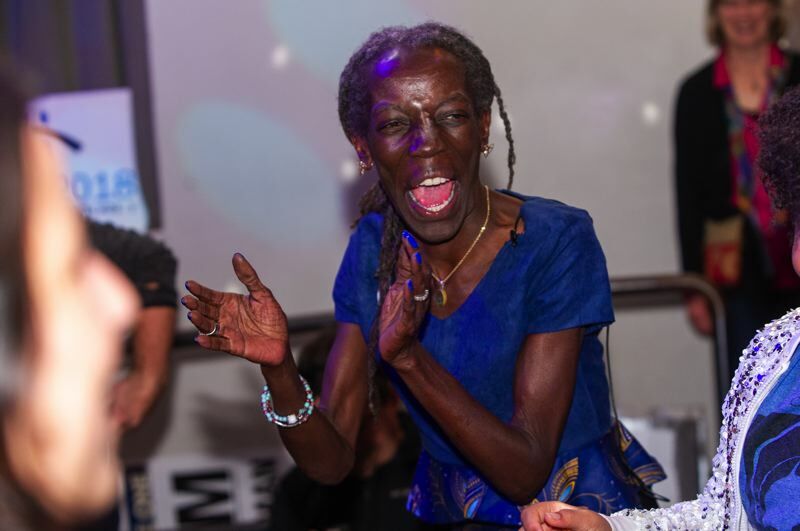 Hardesty is a former Portland state legislator and well-known activist who also has a consulting business. Smith is a former aide to U.S. Sen. Ron Wyden and current Multnomah County Commissioner representing parts of North and Northeast Portland. Both candidates promised to stand up for under-represented Portlanders of color and lower-income residents in East Portland if elected. Hardesty also reached out to outer Southwest Portland voters, aurguing their part of town has many of the same problems as East Portland, including a lack of sidewalks and substandard streets. The race was to replace Commissioner Dan Saltzman, who did not run for re-election. Women will be a majority on the council for the first time when Hardesty takes office in January. Hardesty finished first in the May primary election but did not receive the majority necessary to win the race outright. Her 46 percent was significantly higher than the 21 percent that Smith received, however. The four other candidates in the race split the difference. Only around 33 percent of Portland voters actually returned their ballots in the primary, however, making it difficult to predict how well Hardesty and Smith would do in the November general election, where many more voters traditionally participate. Smith released a campaign poll on Oct. 25 that said the race was tied at about 39 percent each with 22 percent still undecided. Smith raised far more money that Hardesty in both elections.